As someone who is a fan of cheesecake, chocolate, nuts, and caramel, it’s no surprise that I would enjoy turtle cheesecake. Not the ubiquitous mass-produced kind, but the actual homemade variety. 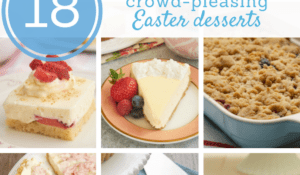 Cheesecake is not that difficult to make, but it is time-consuming. 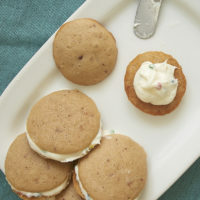 So, for the holidays, I thought it might be a grand idea to take all of those delicious turtle cheesecake elements and condense them into cookies. Boy, was I right! Honestly, the cookies are fabulous all on their own. But, in keeping with the turtle theme, we must have caramel! So, a little indentation is made in the top and filled with creamy caramel. I love these cookies just as they are. 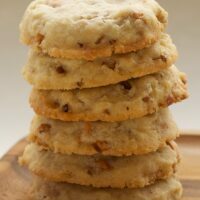 But, if you want to add just a bit more fancy to them, drizzle with melted chocolate and sprinkle with chopped pecans. They’ll look absolutely gorgeous on your holiday cookie tray. 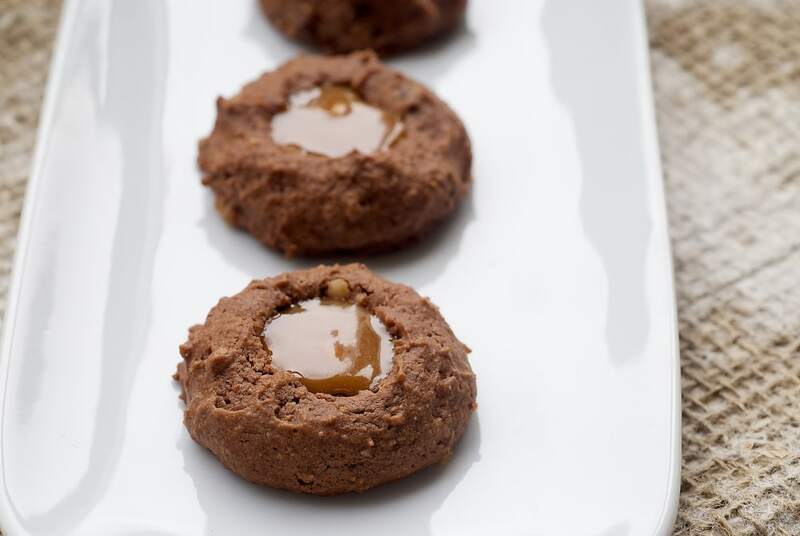 Turn a favorite classic dessert into sweet, rich cookies! 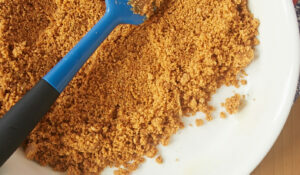 Whisk together the flour, graham cracker crumbs, cocoa powder, baking powder, and salt. Set aside. Using an electric mixer on medium speed, beat the butter and cream cheese until combined. Add the sugar and brown sugar, and beat until fluffy. Add the eggs, one at a time, mixing well after each addition. Mix in the vanilla. Reduce mixer speed to low and gradually add the flour mixture. Mix just until combined. Stir in the chocolate chips and pecans. Using a tablespoonful of dough, shape the cookies into balls. * Place about 2 inches apart on the prepared pans. Flatten each ball slightly. 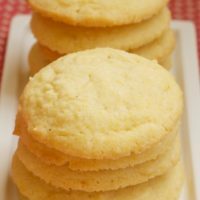 Using your thumb or the back of a spoon, press a 1/4-inch indentation into the top of each cookie. Bake the cookies, one pan at a time, 12-15 minutes or until cookies are set. Cool on pans for 5 minutes. Then, transfer to wire racks to cool completely. Place the caramels and cream in a heavy saucepan. Heat on the stovetop over low heat, stirring frequently, until the caramels have melted and the mixture is smooth. 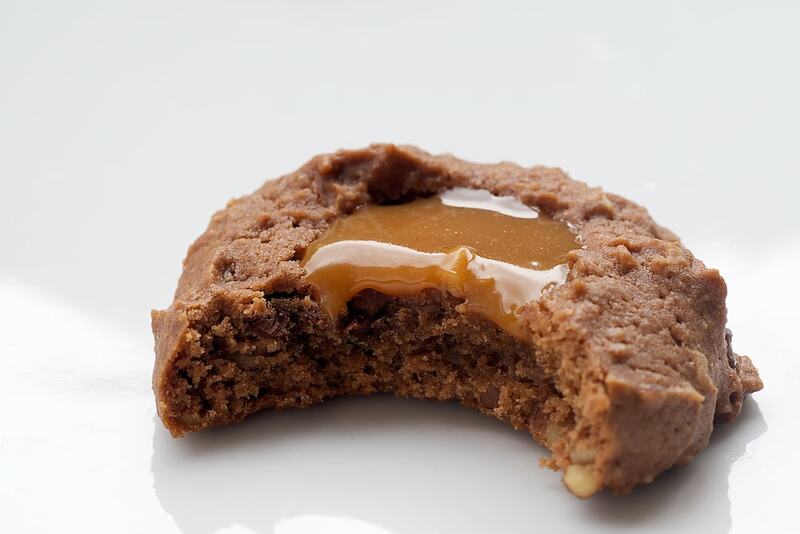 Using about 1/2 teaspoon at a time, fill the cookie indentations with caramel. Allow the caramel to cool and set. 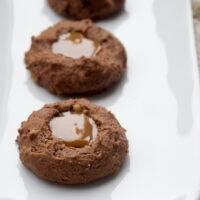 If necessary, you may refrigerate the cookies to set the caramel. *The dough will be sticky. If necessary, lightly grease or flour your hands to make forming the dough into balls a bit easier. This is a big-batch recipe, but it can easily be halved to make a smaller batch. I love turtle cheesecake but it’s true, too much work for this time of year. Thanks so much for coming up with this alternative. 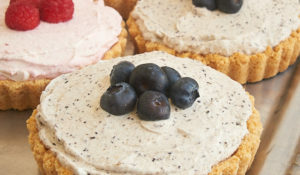 I have added these to my (ever growing) Christmas baking list. 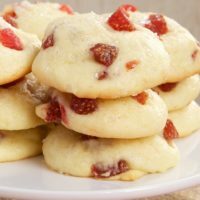 I’m going to bake these tonight for an upcoming cookie exchange, do you think they are winners? Were these the cookie remnants I saw on Twitter?!? No, can’t be, I could’ve sworn those looked vanilla-esque, which means omg are there MORE cookies coming?! Sorry, I am sort of a serious lover of the cookie fest that happens every December. And I LOVE how decadent these are while still being easily manageable. Yum! Different cookies, Jess! The others will be coming very soon. Hi jennifer so I’m baking these as I message you…when I went to roll the batter into balls, the dough was too wet and sticky. Did I do something wrong? Any tips? Should I add flour? Thanks! Kristin, measuring flour can be a bit inaccurate, depending on how you measure. So, it’s possible that you need more flour. The dough is a bit sticky, but not so much that you should have difficulty rolling it into balls. 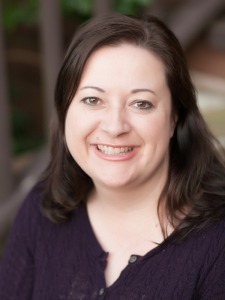 Thanks jennifer! I added more flour and put the dough in the fridge for 15 minutes. That really helped and they turned out great! My cookie exchange competition better watch out! I love to make truffles for my friends and families for the holidays, and Scharffen Berger is one of my very favorite chocolates to work with! 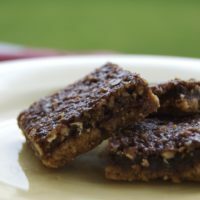 Do you think these could be made into bars and drizzled with the caramel? Emily, the dough is a bit sticky, but I think it might work. Let me know how it turns out if you try it. YUM! I love all of these ingredients. Must try! I just made these this afternoon and the dough did turn out sticky. I think that’s just how they are but I greased my hands and had no problem rolling the dough into balls. It did make quite a few but that’s a good thing! Pretty tasty! These are definitely a keeper!